Barfi is a popular Indian dessert made from condensed milk and cooked with sugar. It is often flavored with fruit or nuts (dry fruits) and mild spices. 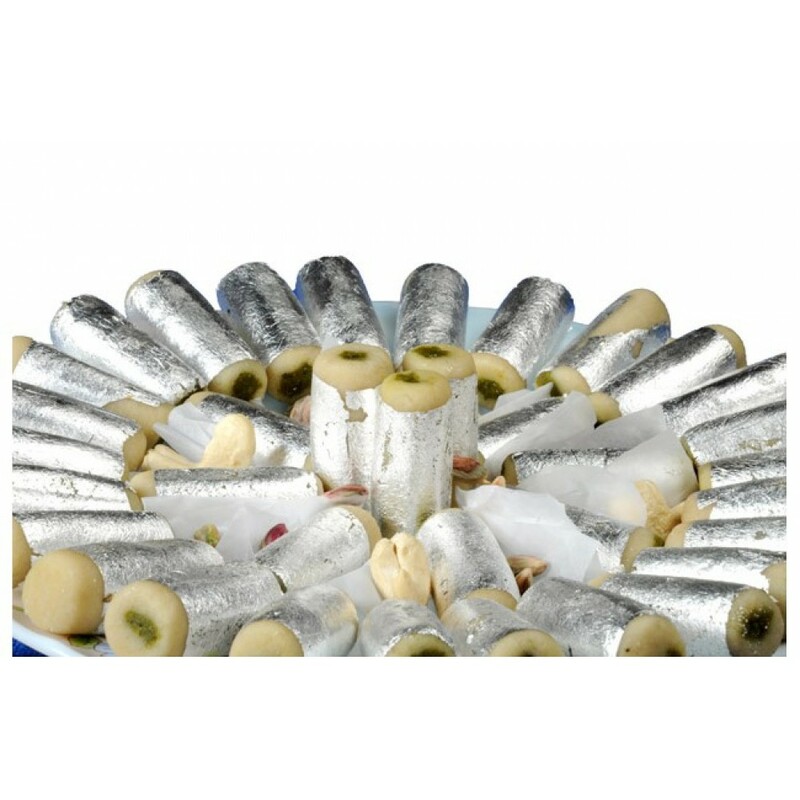 Pista Roll is barfi made from pistachios and garnished using a wrapping of a thin layer of edible metallic leaf (silver) called warq. 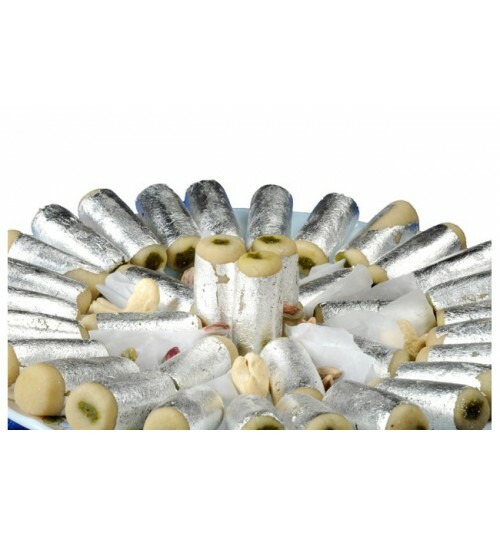 Pista Roll is available as cylindrical rolls and is served during festivals and special occasions. Pistas are deliciously crunchy to eat and one of the lowest calorie nuts. Rich in potassium, phosphorus, magnesium, vitamin B6 & thiamine, pistas are cholesterol-free, high in fiber and low in saturated fats. They also have a high content of monounsaturated fat which lowers cholesterol levels.